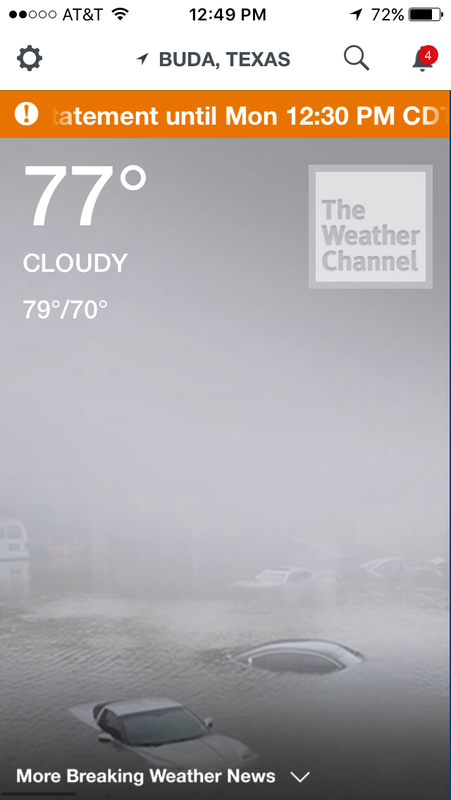 I didn’t know storms could have names, but apparently they can. This storm was something called a “hurricane,” and it’s name was Harvey. (Not a great name, if you ask me. Which you didn’t but I’m telling you anyway.) MelT says the forecast was for rain with a chance of floating cars. Since MelT can’t drive, we didn’t get to see any floating cars. She seems to think they would be a bad thing. I’m not fond of cars, floating or not. 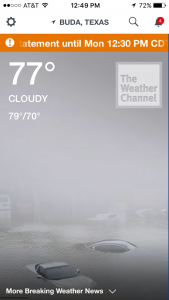 It did a strange thing at my house this week…it RAINED! Rain is when water falls out of the sky. I think it might have to be cloudy and noisy too with flashes of bright light. But the main thing is the water. 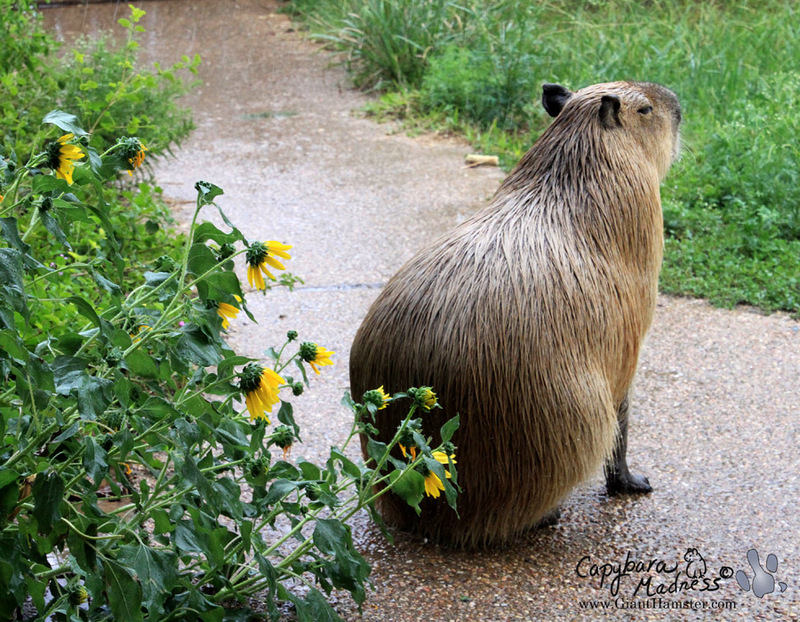 It falls everywhere, even on a capybara if he is sitting outside. But not on a Melly. A Melly says she will not go for a walk while it is raining. It rained a little yesterday so Melly wouldn’t take me for a walk. I don’t get that. It seems like that is the perfect time for a walk. What could be better than the comforting caress of water rolling off your fur while you explore strange and potentially dangerous places? Nevertheless, she wouldn’t do it so I had to make my own fun. 3-month-old me swimming in "Garlic Creek". I guess everyone knows that my humans, co-pets and I live out in “the country.” Well, my owner says it’s not so much the country now as it was when she first moved here but I don’t remember any of that. I’m only a little over two years old so I guess I am too young to notice the changes she’s always complaining about. Be that as it may, we live in the country and have several acres of land. Right in front of our house is a wet-weather creek. The creek is named Garlic Creek and, when there is water in it, it flows into Onion Creek. I guess humans think that is cute. Actually, the creek is formed from two smaller creeks just upstream from our house. My owner’s son, Philip, named the smaller one Philip’s Branch when they first moved here. Baby me climbing down the bank into a partially full creek. 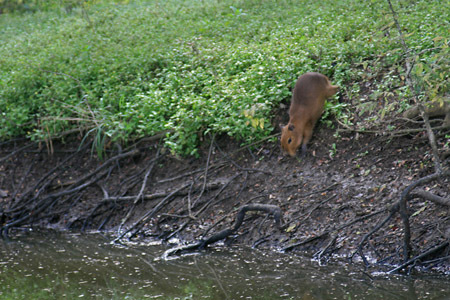 As a baby capybara, I remember frolicking in that creek with great abandon. Ah, those were the carefree days of babybarahood! I always wanted to go downstream to find the Amazon. Then the creek dried up. It stayed almost completely dry for the past two years. 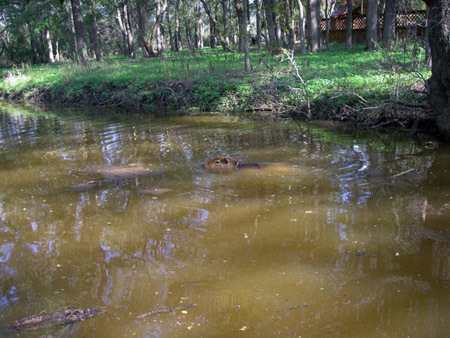 Every time my owner took me for a walk around the property, I would go to that creek and look for water. Rarely there would be enough for a mud bath but never enough for a swim. Of course, as I got bigger and bigger, a swim required more and more water so things were working against me. Mud is good but I really missed swimming. Then one day a couple of weeks ago something magical happened. It rained. And then it rained again! And again! And then the creek was full. 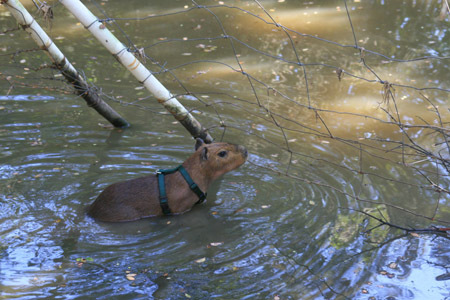 I couldn’t believe my little capy eyes when my owner and Sheldon took me down to the bridge and I saw all that water. 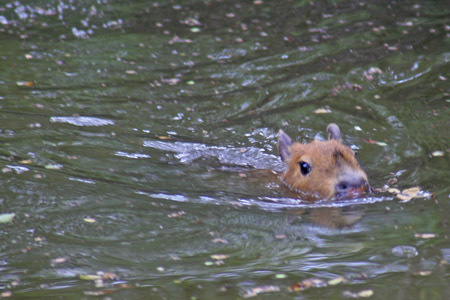 You cannot imagine how it set my capy heart a-flutter! Needless to say, I jumped right in. I guess I should have waited for my owner to unsnap the leash but I just couldn’t contain myself. It was as if a dream that I had dreamed every day of my life had suddenly come true. I could swim! 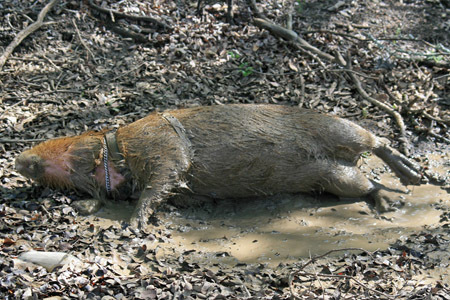 I could roll in the mud. I climbed over logs. Eventually I even let my owner take the leash off. I chewed on submerged sticks. Frogs and tadpoles swam out of my way as I streaked through the water. I even completely submerged and traveled underwater for a fair distance. Finally! I got to go swimming in the creek again. I have decided to rename the creek. Garlic Creek is a dumb name anyway. 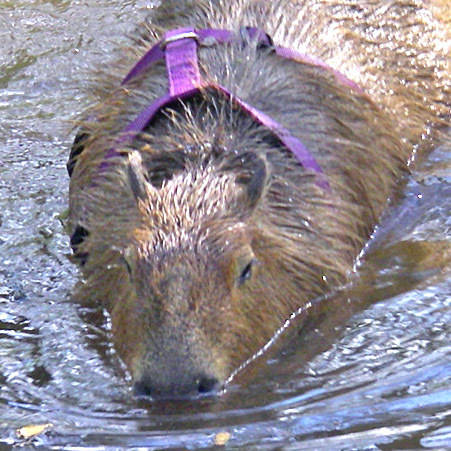 I am naming it Capybara Creek. My owner and I will call it that from now on. It is a beautiful name. 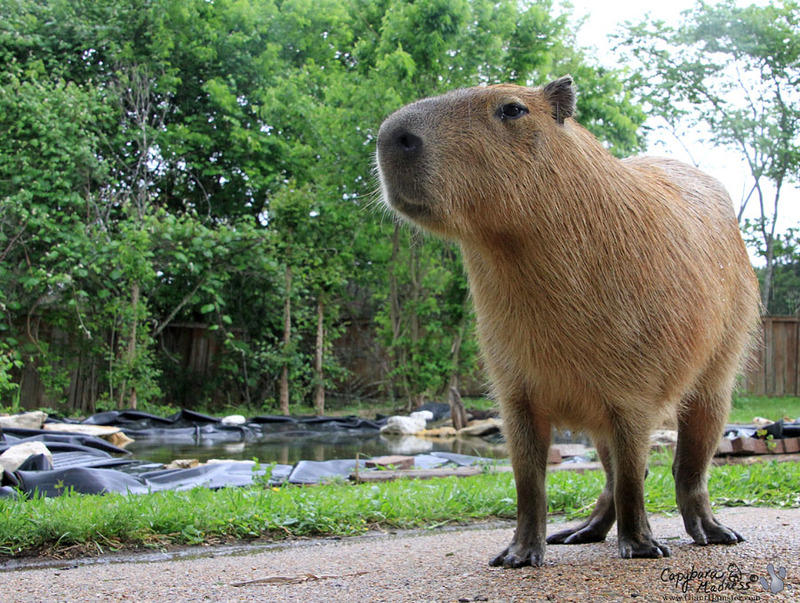 And someday someone will see that name and imagine a capybara (me) swimming in the murky waters of Capybara Creek. I will be immortalized.